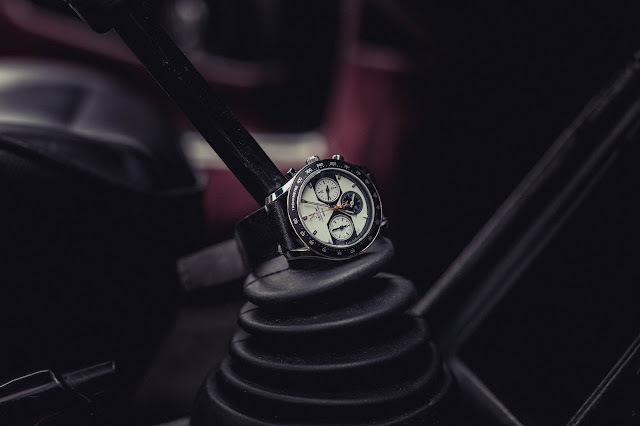 All you fans of racing chronographs need to head over to Kickstarter on Monday, September 14, because that is the day Nezumi Studios launches their Voiture Chronograph campaign. 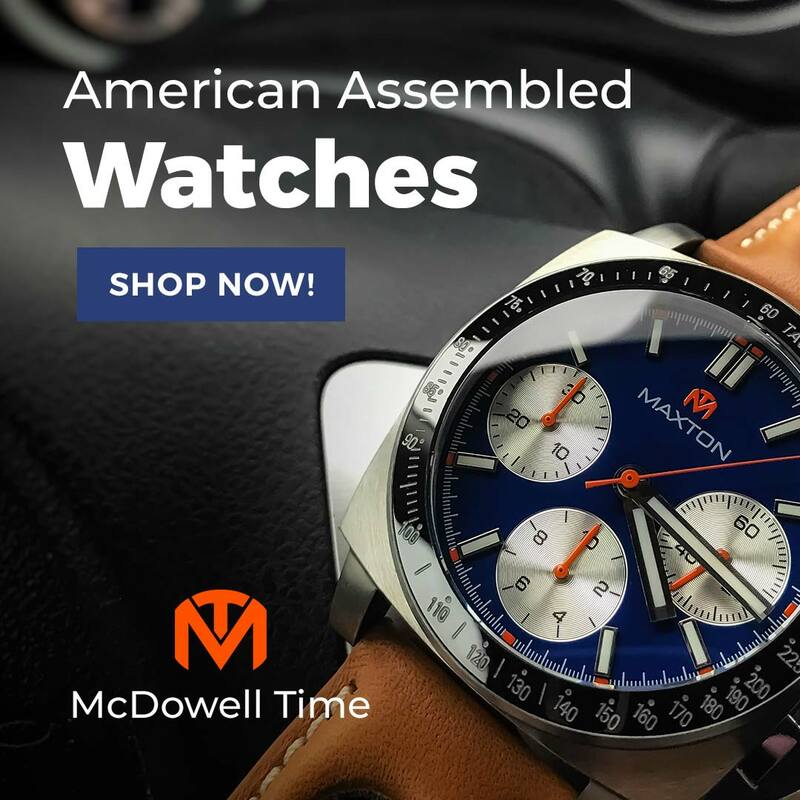 With a mid-size case, MechaQuartz movement, and pre-order price under $300, this watch looks like a clear winner. In 2011 David Campo Cárdenes founded Nezumi in Stockholm, Sweden. He is a designer by trade with a passion for automobiles. Along the way, he developed a line of men's clothing and accessories, and founded the Roughneck Brigade vintage Porsche club. 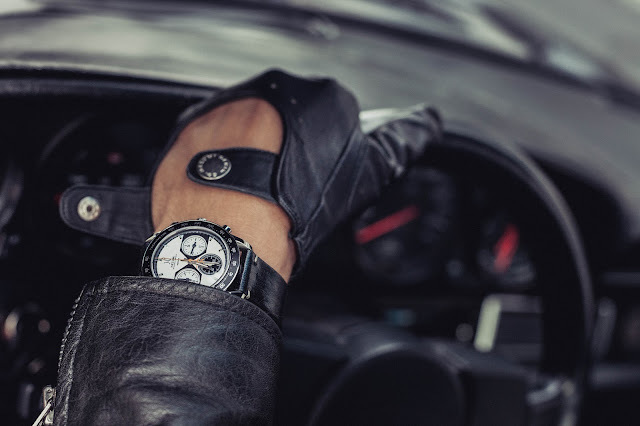 These experiences laid the groundwork for the Voiture, a retro chronograph that adopts the best styling elements from legends like the Heuer Carrera, Universal Geneve Compax, Rolex Daytona, and Tudor Montecarlo. The case is 316L stainless steel with a polished top and brushed sides. I'm pleased to see that David resisted the trend towards oversized sport watches and kept the dimensions modest. 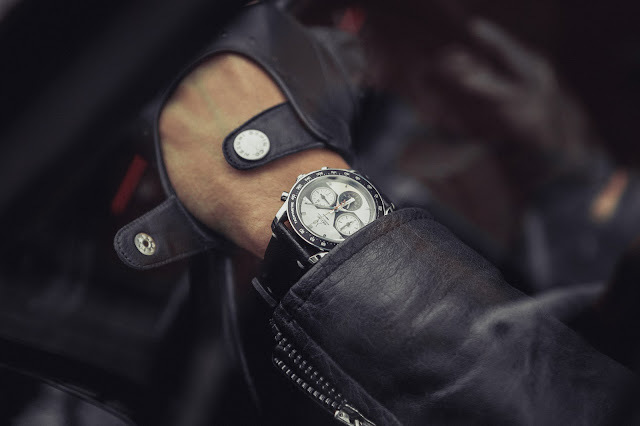 At 40mm across, 47mm long, and 11.5mm thick, the Voiture's proportions are close to the watches that inspired it – even more so than Tudor's own Montecarlo reissue, the 42mm Heritage Chronograph. Like the Carrera and Compax, the lugs are twisted inward, bombè style. 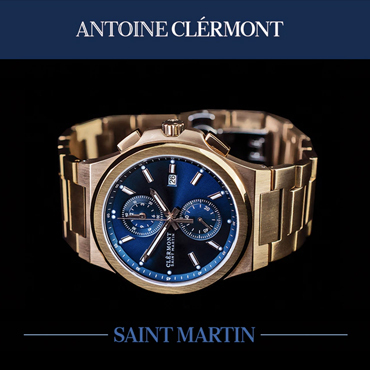 It features a fixed tachymeter bezel and a domed sapphire crystal with an internal anti-reflective coating. 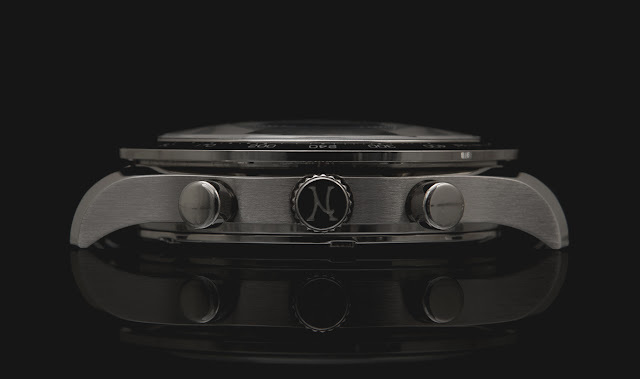 The crown and case back are both nicely decorated with the Nezumi logo but the crown is a push-pull and the back snaps on, which limits water resistance to 5 ATM/50m. It should prove perfectly adequate for land-based motorsports, but you may not care to time your speedboat with it. 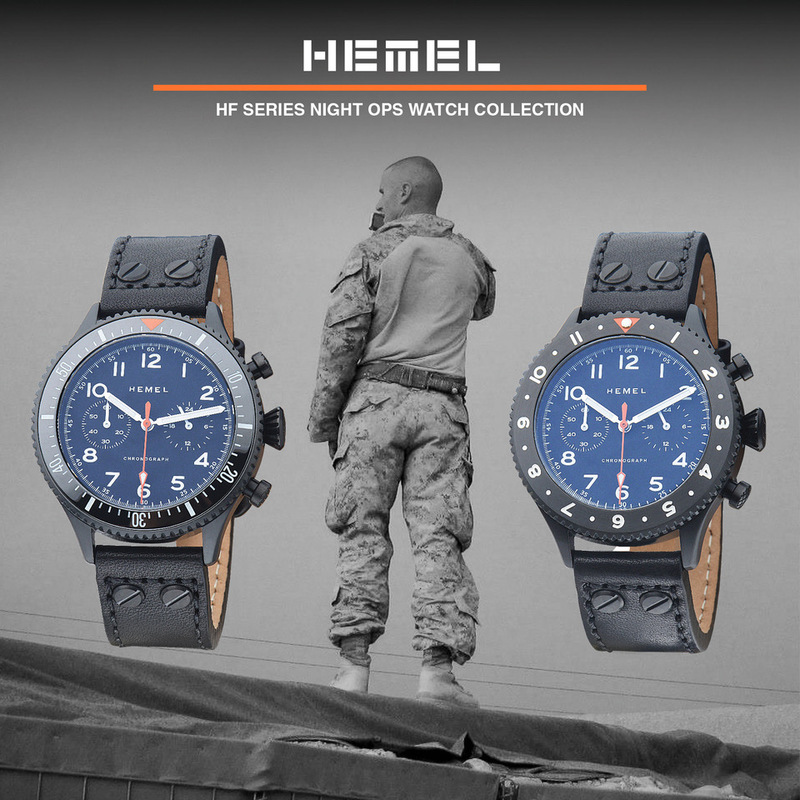 The dial has a matte finish and is layered over three glossy sub-dials that David describes as having a "CD pattern." I've described this texture as being like that of a vinyl record album but clearly, I'm old. Contrasting color blocks surround the two lateral dials and pinch together at the center. The hands and hour markers are applied, polished, and treated with tan "Old Radium" SuperLuminova as is the orange second hand. Three color combinations are offered: black on white, white on black, and light blue on dark blue. They all look great and the panda/reverse panda combinations are both solid choices, but the blue dial promises to be a real stunner. Like many micro brand chronographs I've covered lately, the Voiture runs a Seiko VK63 MechaQuartz modified to remove the date wheel. This quartz hybrid unit employs a mechanical module for a smooth sweep and crisp snap back on reset. 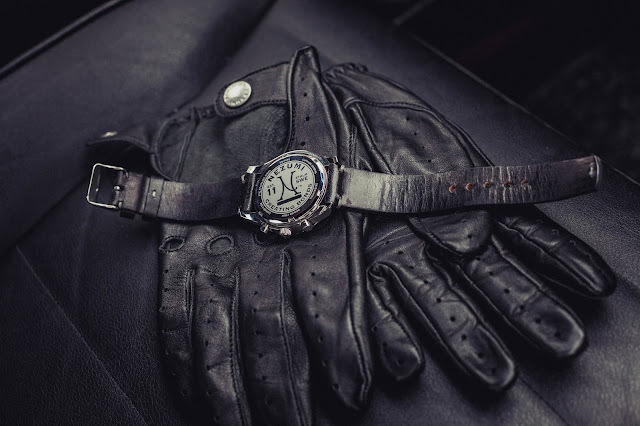 The VK63 is a three-eye chrono: small seconds, 60-minute, and 24-hour. Three registers do not leave much room for dial text or decoration, so the Voiture keeps it simple with the logo, brand and model in the clear space up top, and "MechaQuartz" around the lower sub-dial (à la Daytona) printed in orange to match the second hand. That second hand is the only element that makes me pause. 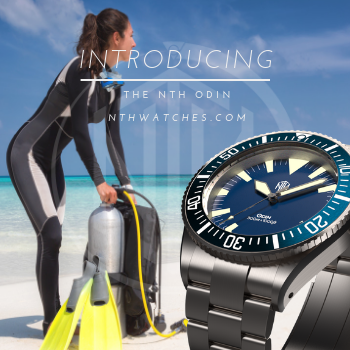 It has the Nezumi "N" on its tail, which might be just one step too far given that the logo is already printed on the dial. It looks fine in the photos, but I'm reserving judgment until I see the real thing. The samples pictured are prototypes and are subject to change. Several improvements are already in the works for the final production models including toning down the white dial to an off-white, and completely changing the strap to a high-quality Italian leather. The Voiture will list for around $500 USD and early Kickstarter backers can get it for just under $300. 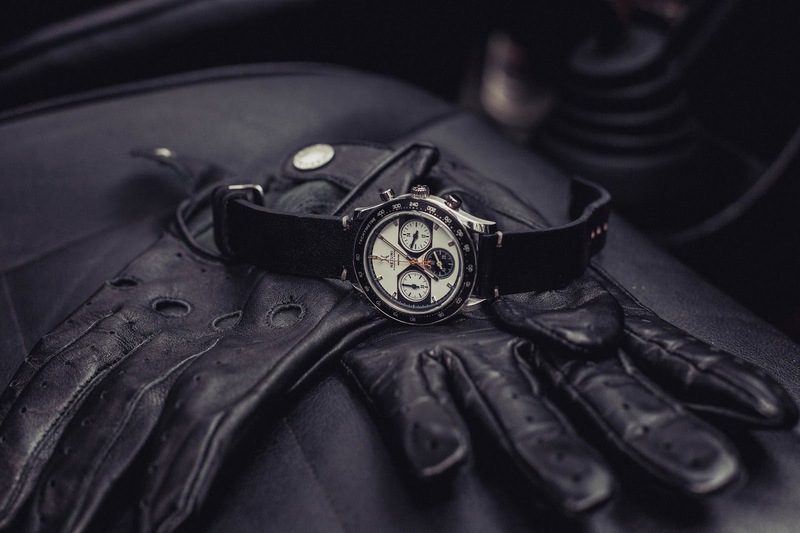 All in all, Nezumi appears to have nailed the key aspects of a vintage racing chronograph. This is certainly one to watch. All photos courtesy of Nezumi Studios.